Turn key ready! Move in before the new school year. Must see this very appealing 3 bedroom 2 bath home with a two car garage. This home is full of personality and features with over 1650 SQFT of living area. The chef will love the kitchen with plenty of cabinet and counter space, upgraded ceramic tile, beautiful black appliances and a large island to gather around perfect entertaining your family and friends. The master bedroom is located in the back of the house for extra privacy and includes an en suite bathroom with double vanity, walk in closet and a separate linen closet. The living room and dining room are very open and spacious and both overlook the covered lanai great for entertaining or just relaxing. This community offers a community pool, low CDD and HOA fees which makes this home very desirable. 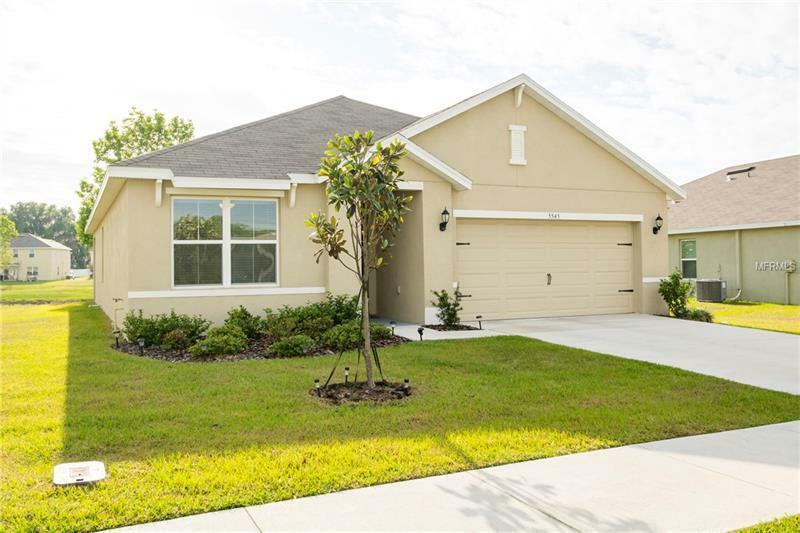 Located centrally in the beautiful city of Zephyrhills which is close to fine dining, shopping, recreation, entertainment and much more.